I admire artisans who are able to recycle everyday materials into something new that looks professional and even sophisticated. 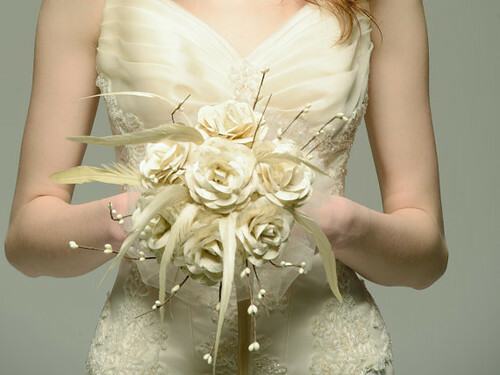 Carmen Björnald, a designer in Milan, Italy and owner of Etsy shop CeeBee Recycle, is one such person. She makes an eclectic array of useful items from magazine pages, used books and sheet music, as well as fabric from hot air balloons. 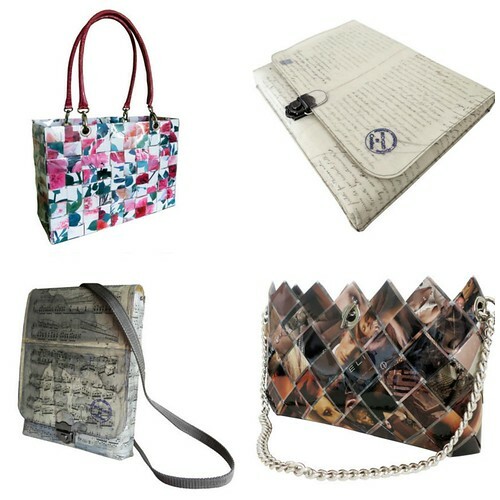 Carmen uses vintage paper and upcycled magazines to create stylish totes, laptop cases, sunglasses holders, clutches, wristlets, and messenger bags - all are functional and quite durable, thanks to a laminating process. She also creates one of a kind home decor items. 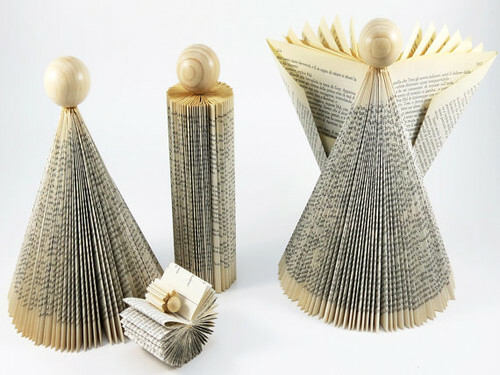 This six bottle wine rack fashioned from Italian magazines and wooden dowels caught my eye, as did this folded book nativity with elegant, modern lines. 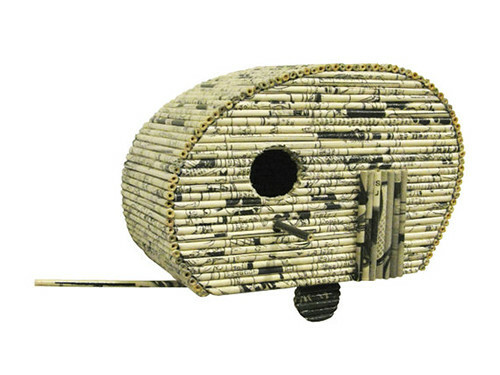 Carmen crafts a variety of clever birdhouses from rolled strips of recycled paper, such as this retro trailer/camper. 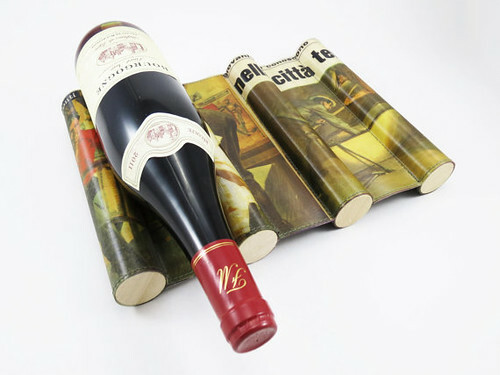 Meant to be used for indoor display only, there's no doubt it would catch the attention of your guests. 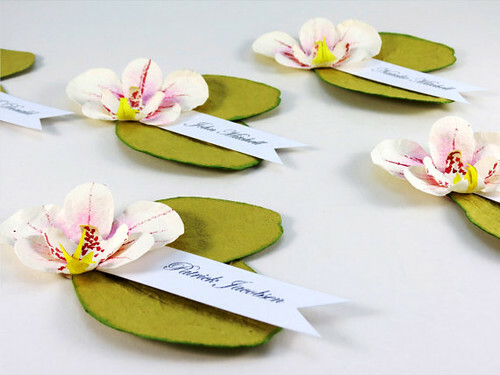 She has a knack for creating flowers from a variety of recycled papers, and often makes bridal bouquets and table decor, such as these mulberry paper carnations and khadi paper (cotton rag) moth orchid place cards. 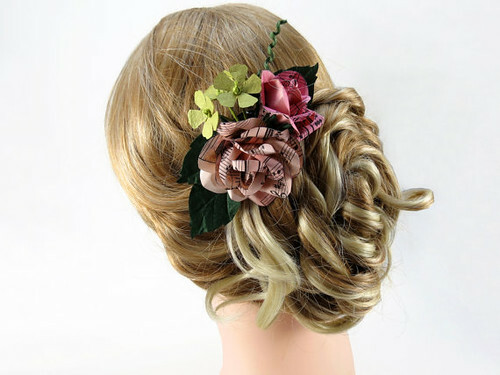 Hair accessories from recycled and watercolored sheet music are another specialty. Final image by photographer Gabriele Balestra; all others by Carmen Björnald of CeeBee Recycle. I adore that music bag! 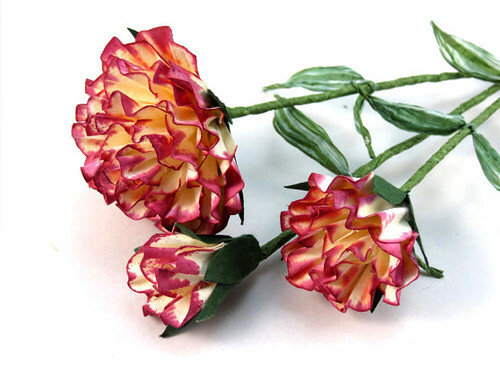 This is Awesome..I loved it.. none of these creation looks like it is recyled..! So talented. Couldn't leave her shop ,so many beautiful things in one place.